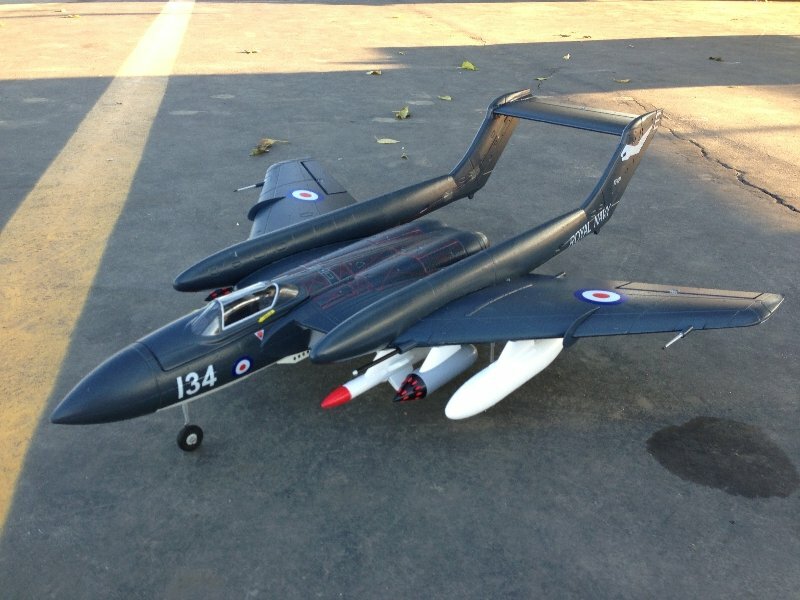 The de Havilland DH.100 Vampire, made by Durafly (Hobbyking) in PNF configuration. 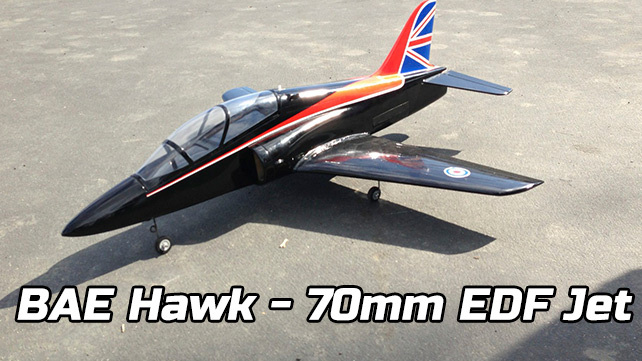 Featuring a 70mm EDF (electric ducted fan), electric retracts, EPO construction, a custom red paint job and powered by a 2650 mah 4-cell LiPo battery. 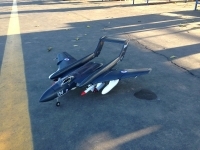 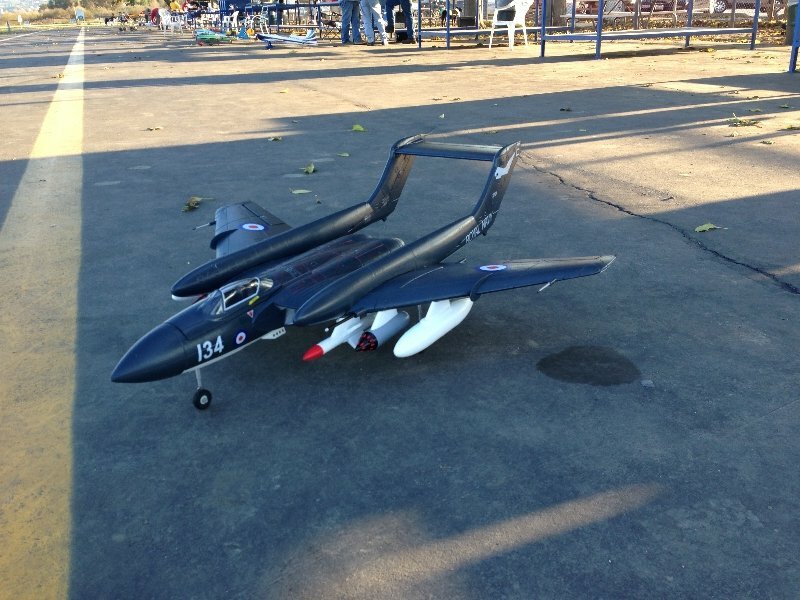 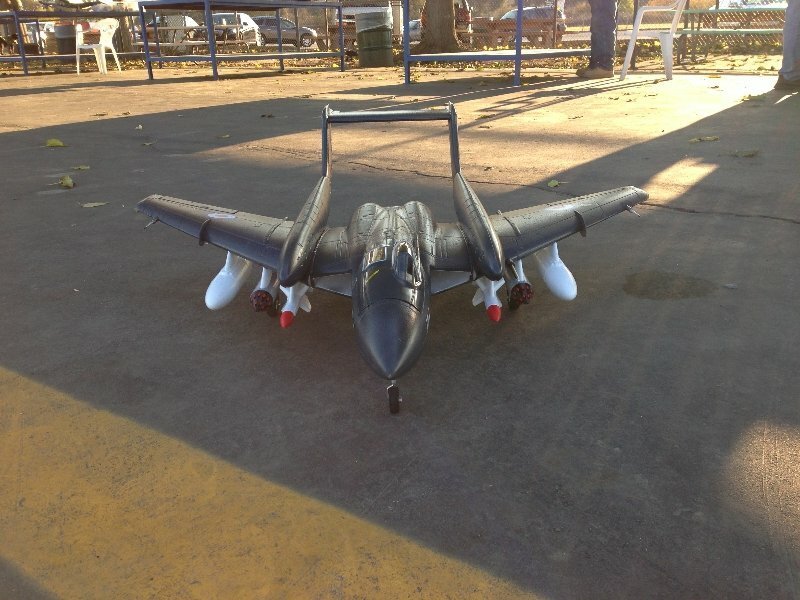 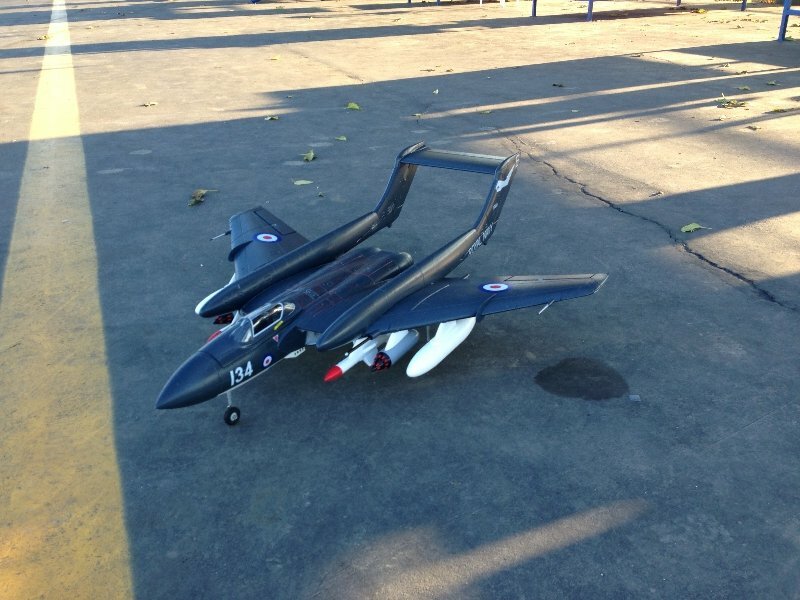 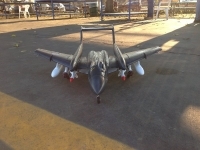 This is the maiden flight of my second vampire. 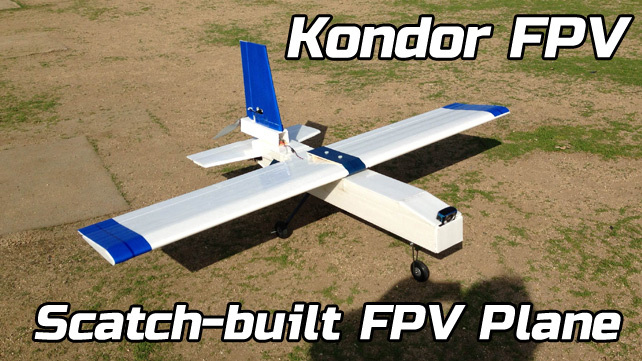 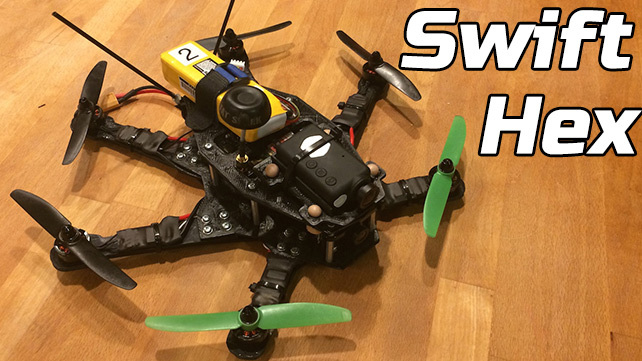 This airplane flies great: excellent slow-speed characteristics due to its light weight and huge wing surfaces. 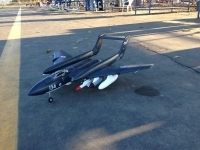 Stay tuned for a photo gallery.